Welcome to Part Three in a series of business tips. There are so many things that can make or break a business. Hard work is a must but this must also be combined with so many other factors to be able to progress and be successful. This blog talks about a combination of branding, products and pricing which are all linked to one another and are key to your business. I am still working on these things for my business and have learnt that these three things can make you more money if you get it just right. In short this is something that identifies you as being different to the rest. What makes you stand out? There are so many elements to branding. I think the first thing to think about is your business name. You will find that lots of people are interested in where a business name has come from. I must admit to having a mixed response to my business name. Some people think that Sweet Williams is called that, thinking my surname must be Williams! In fact my surname is Doyle so has nothing to do with my business name! It is because they are one of my favourite flowers and William is one of my children’s names. The flowers appear on my banner at events and on all my product tags. You may need to think about whether or not your business name is obvious to what you do. For example, if I were called Handmade by Emma, it tells people straight away that my name is Emma and that my business is craft related. Being called Sweet Williams, this is not obvious to a new potential customer so I have a simple tag line on my website, which is Sweet Williams – Luxury Handmade Products. This tells people straight away what I do and will instantly decide whether they want to look further. Logos, colours and graphics are all something to think about. These things can make a potential customer remember you. Have a think about what other things you can do which makes your business stand out? This is all part of your branding. You could tie each order you send out with business branded ribbon. You could get logo/business name printed tissue paper. How about stickers which you can pop on your parcels? Or take it one step further like I have and get some custom buttons made. These ones I have had made are ceramic and are absolutely gorgeous. It adds to that luxury brand I am working hard to create and these will be used on my special one of a kind makes to make them more unique. I am also in the process of ordering small wooden branded buttons so that eventually I will be using branded buttons on all of my products so customers can be guaranteed they are getting a genuine Sweet Williams product. You could think about fabric labels too. Business cards are a must. When I started out I had some printed from a cheap very well known website. Whilst cost effective and a quick service I do believe you get what you pay for. I was put off when I saw another business using the same design that I had chosen from their templates and decided there and then that I needed to be different. I don’t want to be the same as someone else. I want to look different and be able to offer something different so I did a little research. The best option would have been to go to an independent designer to design my business cards and a logo for me. There are many companies I currently admire, but at the time I wanted to redesign my cards, I did not have the money to go down that route so I went down the route of designing my own through moo.com. I liked the fact that you can make use of the back of the cards at no extra cost and that you can upload up to 100 photographs of your choice to be included on the cards. What do you do with them when you get them? Carry them everywhere. I mean everywhere. You do not know who you may meet. Hand them out at events, if you are allowed, pop them on notice boards in local hairdressers, surgeries, dentists, local takeaway etc. If someone ever asks you what it is you do for a living, produce a business card for them to keep. Keep a stash on your table at events. Pop one in with any orders you may receive. The person ordering may have found you but it is a quick reference if they need to get in touch with you again or to pass to friend. I have had many sales through handing out business cards. The main thing is to be consistent. Carry design and colour right through your business. My logo/picture of the Sweet Williams flowers are purple and pink colours. 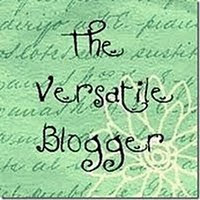 They are on my banner, the writing on my business cards pick out the colours in my banner. My tissue paper and packing tape is pinks and purples, and my website is in pinks and purples and has a picture of the Sweet Williams flowers in the corner. It’s about tying everything together to create a brand. These are both linked to your brand. Have a think of the products you sell. Do you have one main product? Is it enough? Do you have too many products? Do the products reflect your branding and your business name/tag line? I have big plans for the future of Sweet Williams so I am working on discontinuing lots of lines. Lots of my smaller items will be going and will be concentrating more on the most popular products. This is not only to make time for my new ventures but also because the smaller items do not have much of a profit margin. It is one thing to be making something that you enjoy but if you are making little or no money in return then there really is little point. If you are of the mindset that you need to make money to enjoy life, pay your bills and be happy running your own successful business then you need to get your pricing right and if that means that the small non profitable products have to go then so be it. You do need to have a look at similar items on the market and do some research on pricing but you really need to come up with a price that reflects the quality of the product and the time, love and skill that has gone into it. Work out how much it costs to make a product. Everything, down to the last button. The cotton, the ribbon, the fabric, the hollow fibre stuffing, the cushion inserts etc. Don’t forget to take credit for your skill. Something that seems so easy and natural to you, such as drawing out a template, sewing a project etc is not something that everyone can do, which surely is why they are asking you to make something in the first place! If you do not charge for postage and packaging then you need to think about including this within the pricing of your products. I charge separate postage because I get a lot of people who want to collect their items and it would be unfair to those people to have included a postage price within the overall cost of the product if that makes any sense. I currently charge £3.00 for postage and packaging. This is because the majority of the parcels I send out are £2.70 for First Class post and the 30p gets put towards the tissue paper and the mailing bag which balances out as I buy my packaging supplies in bulk. You need to think about whether you need to factor in the cost of business cards, thank you cards, other packaging such as gift boxes and organza bags. Think about the money you may spend on table fees at events and on insurances. This is a long list to consider when pricing a product and can be a complete minefield if you have a wide range of products. However, what is the point in spending money out to run your business when you are not going to get it back to cover your running costs? You need to be seeing £££ signs, not minus figures on your accounting sheets!! Don’t forget that if you are a new business, don’t be expecting to be making much of a profit, if any in your first year. My answer is no. I have only just come out of my first year in business and there are not many businesses that generate a profit in their first year. My first year was filled with thousands of pounds worth of initial outlay for all the equipment and tools that will now hopefully last me a long time. There are costs for the sewing machine, range of the best quality scissors, website costs, insurance, event fees, business cards, printer ink, fabric, wool mix felt, ribbon, buttons, threads, needles, mannequin, tables in case I need to provide my own at events, props and shelving etc for events, and that’s just for starters. I look at my accounts often and it would seem that I am on target to be making a good profit by the summer. This will have taken me a year and a half to get there but it does mean that I have used the best quality materials to get there which are longer lasting and going to be much more appreciated by customers. Because I have a day job I do not take a wage/drawings from everything that I currently sell through the business. The money I earn goes straight back into the business to pay off existing start up debt, to replenish any stock I am running low on and I also set aside a small amount each month ready for when I am making a profit so I don’t have to worry about finding the money when I have to pay the tax man! This has been soooo helpful - thanks so much for taking the time. Fab post Emma, you are very thorough. Looking forward to the next installment! Great reading again! Such helpful, interesting and informative posts. Thank you so much. I thoroughly enjoyed this and it's given me a lot to think about. Thanks :). It was me who asked that question you quoted! I have turned a hobby into a business so have not included my tools in my set up costs, so hopefully I will see a profit soon too! Think of a name that is connected to what your business is providing. It doesn't need to be grandiose one to make it remarkable. But simple phrase or combination of words is enough to deliver the message that you wanted to point out about your stuff.